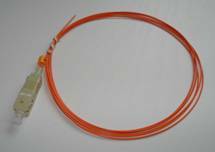 What is fiber optic cable termination? The purpose of fiber termination is to provide easy ways for fiber cross connection and light wave signal distribution. There are two types of fiber terminations: connector and splicing. Over the last two decades fiber industry manufacturers have developed at least a dozen types of fiber optics connectors. The typical ones are FC, SC, ST, LC, MU, SMA and MTRJ. Splicing is the process of connecting two bare fibers directly without any connectors. 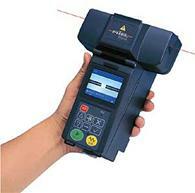 There are two methods of fiber optic splicing: mechanical splicing and fusion splicing. Mechanical splicing is an optical junction where two fibers are precisely aligned and held in place by a mechanical assembly. Mechanical splicing aligns two fiber ends to a common centerline so the light can pass from one fiber to another. Mechanical splices are best suited for multimode fiber applications. Some mechanical splices have been introduced for single mode fibers, but they usually have a higher insertion loss (typically 0.1dB). Fusion splicing is an optical junction of two optical fibers by permanently welding them together with heat generated by an electronic arc (called arc fusion). The fusion splicing process begins by preparing each fiber end for fusion. Fusion splicing requires that all protective coatings be removed from the ends of each fiber. The fiber is then cleaved with high precision fiber cleavers. 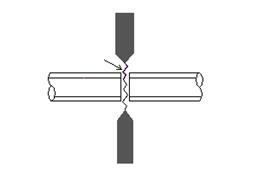 In fusion splicing, splice loss is a direct function of the angles and quality of the two fiber-end faces. A quick termination fiber connector is actually a mini-pigtail housed in a connector body. There is a fiber stub already bonded into the ferrule in the factory, where the endface of the ferrule is polished to a PC finish. The other end of the fiber is cleaved and resides inside the connector body. 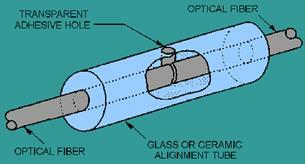 The field fiber is cleaved and inserted into the connector until it “butts up” against the fiber stub. A mechanical clamping process keeps the fiber in place and completes the connector with no epoxy or polishing required. After strain relieving the fiber to the connector, it is ready to be mated to another connector inside an adapter.